Great over-sized building lot on one of the prettiest streets in Rotonda West, with upscale homes and new building going on. With a depth of 200 ft. you have ample room for a nice setback from the road, a pool, and a spacious backyard. Rotonda Blvd. N has a tree-lined medium, is close to the Rotonda Community Park with tennis courts and a pedestrian path, and also provides easy access to Rt. 776. An added benefit is that it is in a no-flood zone. 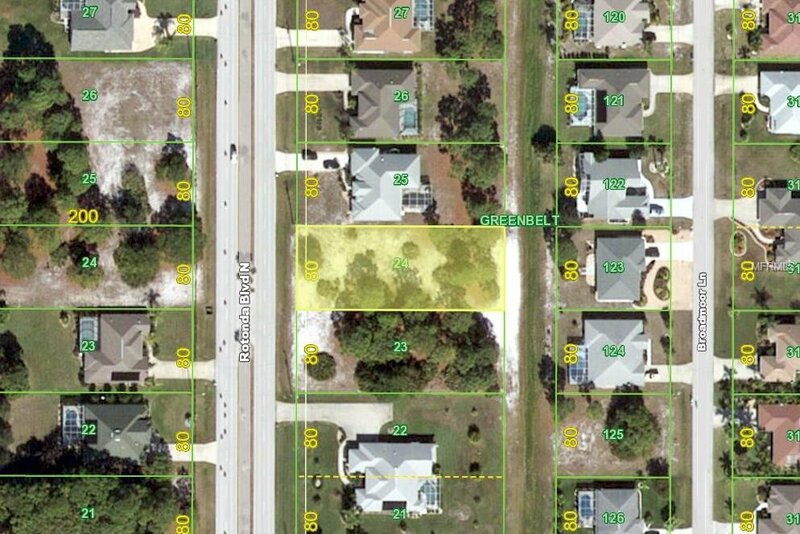 If you would like to build on a double lot, the adjacent lot is also for sale under a separate contract.